Working within spend management is often required by big buyers such as corporations, governments, and other institutions. In addition to creating streamlined workflow with quicker turnaround times, PunchOut ecommerce transactions differ from traditional ecommerce transactions by accounting for buyer spend management. Working within spend management confines -- specifically working within a buyer eprocurement system -- is often required by big buyers such as corporations, governments, and other institutions. Meeting the spend management requirements creates at least two significant differences between PunchOut ecommerce transactions and traditional ecommerce transactions. The seller ecommerce website is integrated with the buyer eprocurement system, so that the seller site can be shopped from within the buyer eprocurement system. Extra activities for creating and submitting a requisition are added to the transaction so that purchases can gain approval before moving forward. 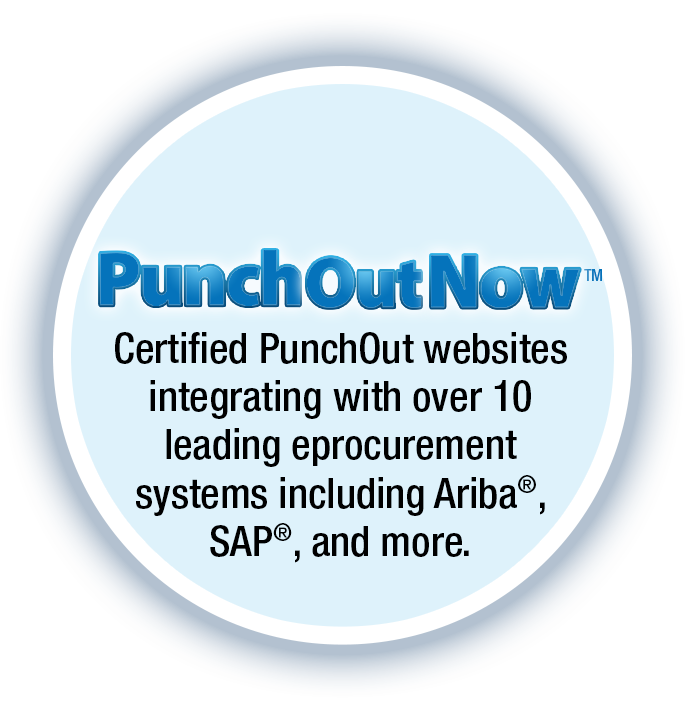 Rather than navigate to the seller ecommerce website, through a PunchOut integration the buyer agent simply logs into the buyer’s own eprocurement system (such as Ariba, Oracle, of SAP OCI, to name some of the better-known eprocurement platforms). Due to the PunchOut integration, the seller’s ecommerce website is visible and navigable from right within the eprocurement system. Just like a traditional ecommerce transaction, the buyer browses and selects items from the website. What’s happening in the background, however, is that the buyer isn’t actually building the order just yet. The buyer is building a requisition, which will be submitted for approval before the purchase order is issued. While checking out in a traditional ecommerce transaction would immediately call for issuing a purchase order, "checking out” in the PunchOut environment creates the requisition. The requisition is then submitted to the buyer agent’s manager or purchasing department for approval before the transaction moves forward. Only once the requisition is approved is the purchase order issued. The PunchOut capabilities effectively build the requisition approval process into the transaction for buyer spend management, which big buyers often require. By using PunchOut capabilities to integrate the ecommerce website within the eprocurement system and add the requisition approval, the buyer is able to meet spend-management requirements while otherwise shopping the seller site like normal. The seller who uses a PunchOut-capable ecommerce website facilitates transactions that make it easier for the buyer to manage spend, which may be a requirement from big buyers. << Previous: My Customer Says I Need PunchOut. Now What?